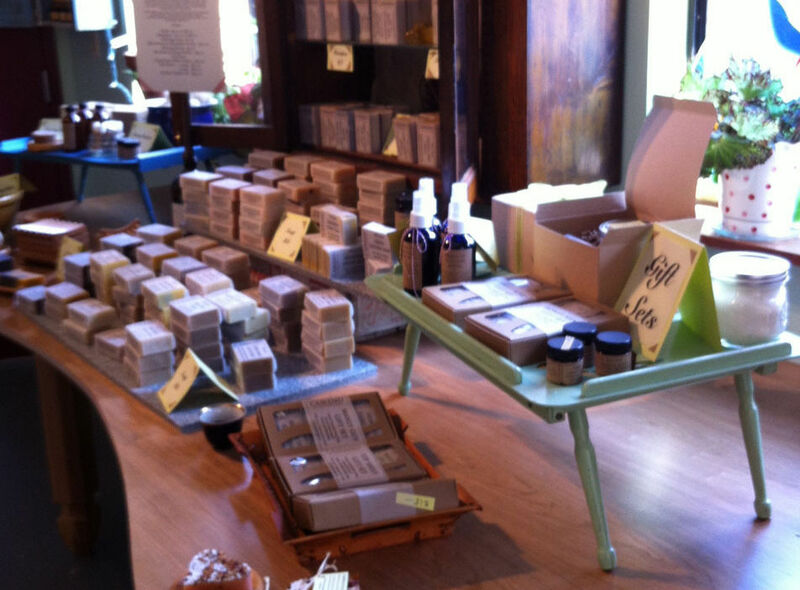 Pampering and practicality come together on SE Nehalem in Sellwood, at Camamu Soap’s new shop and world headquarters. Camamu Soap’s new retail space is also the two-woman company’s headquarters for every step of their natural soap-making process. Cleaning can be more than utilitarian; when it comes to cleansing one’s own body, pampering is often part of the equation. Luxury makes mundane routines more appealing. Camamu strikes a lovely balance between luxury and utility, indulgence and healing. Lori Basson started the company in 2000, and for the past few years she’s partnered with Sarah Hanna. 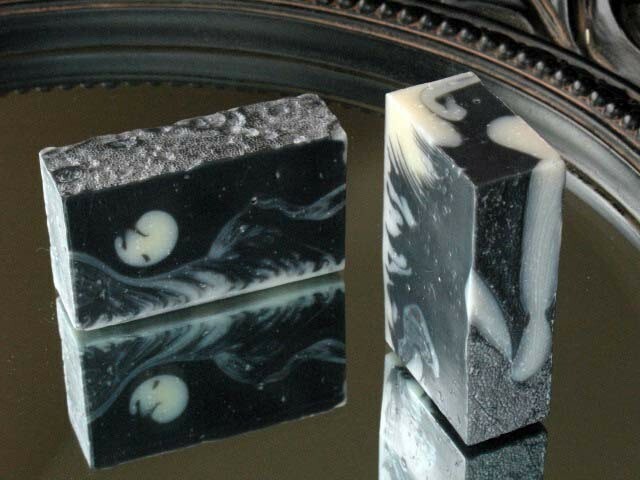 Between the two of them (with help here and there from family and friends), they make about 1000 pounds a month of soap. That’s 4000 bars. The whole process, from storing the raw ingredients to shipping out finished products to wholesale accounts and individuals around the world, takes place in a three room suite in a rustic red barn like building set back from the leafy street. The space also houses the retail shop, which flows naturally with the “manufacturing” areas and gives anyone wandering in off the street a sense of the magic of the process. On a big table in the first room (its garage door all the way open on this warm summer day), a heap of blankets lay over each other like a crazy quilt of quilts. Turns out the blankets are protecting the latest batch of soaps, which start out life as separate, natural but sometimes dangerous liquid ingredients (like lye) but when mixed create an alchemy that will turn them into soap within a few days. Black Beauty soap contains “activated charcoal that binds to toxins, dirt and grime” to clean and detox the pores and surface of the skin. Under the blankets, during the two day hardening process, the giant bars of soap are throwing off some significant heat. It’s one of those fun-with-science experiences you don’t get when you buy soap in a bar off the shelf, even if it’s Camamu’s own shelf in the next room. Another work table supports a heaping tray of what could be, at a glance, pieces of pasta. Those are scraps from soap cut into certain shapes. All of it will be used at some point, for some healing, soothing, cleansing product. The list of ingredients in Camamu soaps is enormous, only because they create such a variety of specialties. In each item, everything is natural, organic, and sourced as close to home as possible. Which means goats’ milk comes from local goats. Lavender, hops, coffee, argan oil, cinnamon and clove, cocoa butter and coal…they might all end up in a Camamu soap (though probably not the same soap). It’s a lovely possibility.